Choosing the right technology is only part of the equation. Proper training can help you complete the picture and achieve your business objectives. Ivanti® Global Academy is a comprehensive and self-paced training environment—a 24x7x365 learning “ecosystem” that places the power of learning in the learner’s hands. Cloud-based, multi-device, and blended, our learning environment helps Ivanti customers train on the things they want to, when they want to, where they want to, and how they want to, to benefit from training as quickly and easily as possible. Global Academy also marries training content and services to provide a more effective and engaging learning experience. Complement Ivanti Global Academy and increase your value to the organization with proven, balanced certification testing that proves you’ve mastered the products. Product training for the Ivanti (formerly RES) Identity Director, Workspace and Automation products is provided by RES Authorized Learning Centers (RALCS). Visit one of Ivanti's RALC training partners for more information about these classes. Many situations require alternatives to obtaining the right training. Travel restrictions, timing, budget, and different groups requiring learning call for flexible training approaches. The following options can help ease the task of meeting your training demands. Is there a group of users locally who wish to attend an Ivanti technical training conducted in your area? If you have your own training facility and are willing to host one of our training boot camps, then Regional Training could be right for you. Depending on your requirements, you may need to take your training to a new level. Custom Ivanti training could be a sensible option. The Tailored Private Training approach could be the right fit if you face travel restrictions or a mix of audiences needing training. 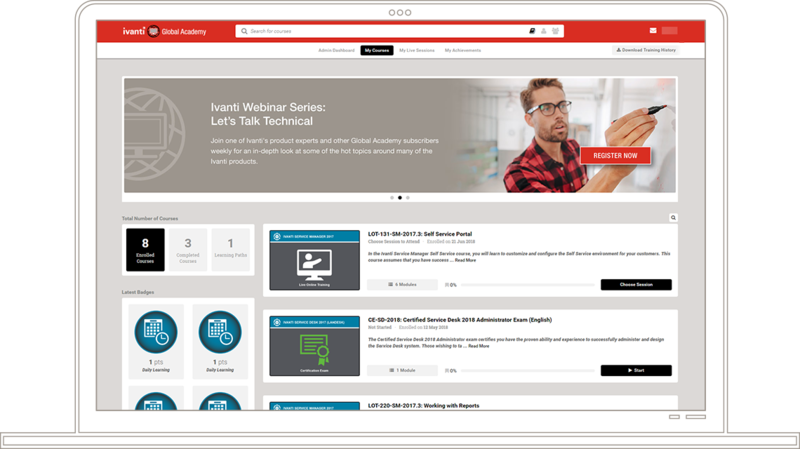 Ivanti provides quality technical product training in many parts of the world, presented both in the classroom and virtually. Select your region below for details on classroom locations.